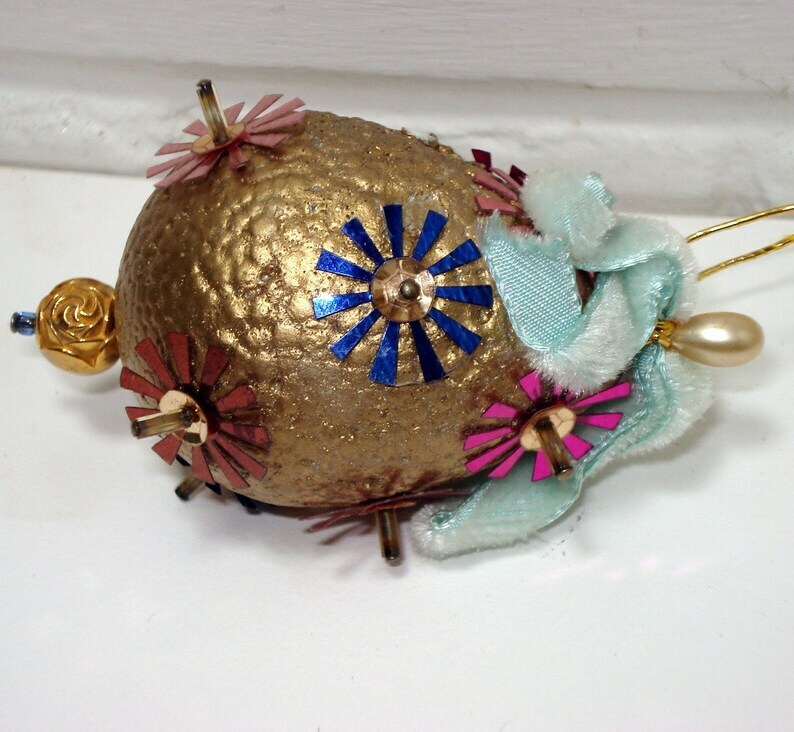 This vintage handcrafted Christmas ornament is a golden egg with decorations. I believe it is styrofoam painted gold with embellishments. Topped off with a faded robin's egg blue velvety ribbon. The ribbon is showing wear and tear, please look at close up. There are also a couple places the gold paint has worn off. This does show in the photographs. This makes the ornament endearing to me! It was well loved and used for many years. Small, measures 2 1/2" from top to bottom. 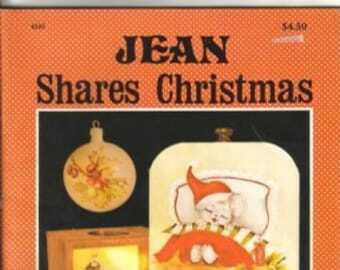 Has a thin gold thread to hang from your holiday tree. Could also be used on an Easter tree, the colors are not typical for Christmas. Embellishment colors are blue, pink, coppery, and purple. The purple color is almost a deep fuscha and the purple is just a little darker than a pink. The coppery color is similar to a bronze brown. Just want you to know! Everyone's computer is different and the colors may be shown slightly different. Comes with a floral gold ball on the bottom and a pearl pin on top. Would you like to see more ornaments? Return to VintageTinsel for more shopping.